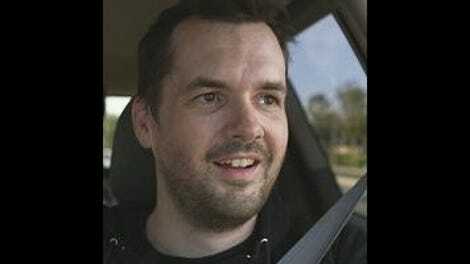 Jim Jefferies and Peter O’Fallon conceived of Legit as a means to tell the sorts of stories Jefferies already told on stage—stories about a man who, despite his best efforts to do good, is demonized by the world for appealing to his own id probably far more than would make most people comfortable. The pilot, my favorite episode thus far, is a true story that I saw him do on stage, and knowing it was part of his act, and that it was true, made me appreciate the way DJ Qualls embodied the role of Jefferies’ friend with MS, and the way Dan Bakkedahl, as usual, was the ultimate comedy enabler. I also appreciated the pilot’s ability to weave Jefferies’ material into a narrative; it felt like his original story, only it used the visual storytelling devices of television to heighten it. “Anger” doesn’t strike that particular tone of effortless material integration. It’s a series of mishaps, punctuated by Jefferies delivering monologues that likely came from his stand-up material. There is a back-and-forth that’s established pretty quickly, and each cut to Jefferies feels like a cut out of the reality of the scene, like if I was watching Glee and they suddenly started singing for no reason (I MEAN CAN YOU IMAGINE?!?). So there are times when Jefferies is just another character in the scene, and there are times when he steps out and directly speaks to the audience, and nobody bats an eyelash. There’s nothing inherently wrong with this setup. Liz Lemon has (er, had—sniff) been known, on occasion, to do this. I mean, most of “Anger” takes place on an airplane, and similarly Liz spends a great deal of “Double-Edged Sword” talking to her fellow passengers about the atrocities being committed on that particular flight. Those around her agree, and go along with Liz’s crazy ideas because, hey, it’s 30 Rock and whimsy often mashes with reality to create something entirely new—a safe space for Liz to act unlike a normal person, and be accepted for it. I’m not quite sure Legit is going for that particular tone, though. It’s a bit more serious than 30 Rock and, as much as possible, tries to present thoroughly fleshed-out characters. In fact, while Steve and Jim are on the plane to Omaha, where Jefferies has a road gig, Billy and his mom are interviewing for caretakers. It’s yet another example of Janice (Mindy Sterling) not seeing Billy as an adult, but as someone who she feels responsible for, even as old as he is. It takes a lot of the episode, but Billy finally stands up to his overbearing mother, demonstrating that his physical handicap isn’t a sign that he should be treated like a child. The opposite, actually: It should be the reason why he’s treated with the dignity and respect of an adult—and if so he’ll rise to the occasion. They still snag Ramona to be Billy’s caretaker, but it no longer feels like something forced down Billy’s throat. These scenes are grounded in a relationship between Billy and his mother that’s years in the making, coming out in fits and starts as we watch the show develop. Basically, when given the choice between silliness and reality, Legit errs on the side of reality. Which is what makes those airplane scenes so jarring. Jefferies winds up having a feud with his neighbor about the armrest—as Jefferies puts it, the window gets a wall and an armrest, the center gets two armrests, and the aisle gets an armrest and some more space. He makes that feud very public, and chews out the flight attendant trying to control him. Everyone on the plane sits rapt with attention, waiting for what Jefferies is going to say next. After all, he’s starting to make a whole lot of sense. Nobody seems perturbed that he’s breaking the social contract of an airplane, which is to not speak and be extremely quiet. There are a lot of funny one-liners that make “Anger” sparkle—when talking about hiring prostitutes in Omaha, Jefferies retorts, “I called, they’re both busy.” And when Legit isn’t so concerned with staying true to Jefferies’ stand-up, the pace feels more relaxed and the characters more lifelike. There is a distinct dichotomy between normal Legit stuff and Jefferies’ material right now, and the more episodes we see, the more that rift seems to be growing. At the same time, the normal, mundane stuff is becoming far more interesting; as I get to know Billy, I begin to deeply resent the fact that people don’t give him enough credit simply because of his physical disability. I care that he just wants to pee when he wants to pee, and mostly that he wants to hang out with his friends like any able-bodied person could. Perhaps “Anger” feels off only because the characters are separate, not able to heighten the raw emotion and cathartic humor of one another—a sweet spot for Legit if ever there was one.